Happy National White Wine Day! Happy National White Wine Day! I love celebrating any holiday that gives me an excuse to enjoy wine. I share a lot of red wine photos but when I go out with my friends I always try the Pinot Grigio. 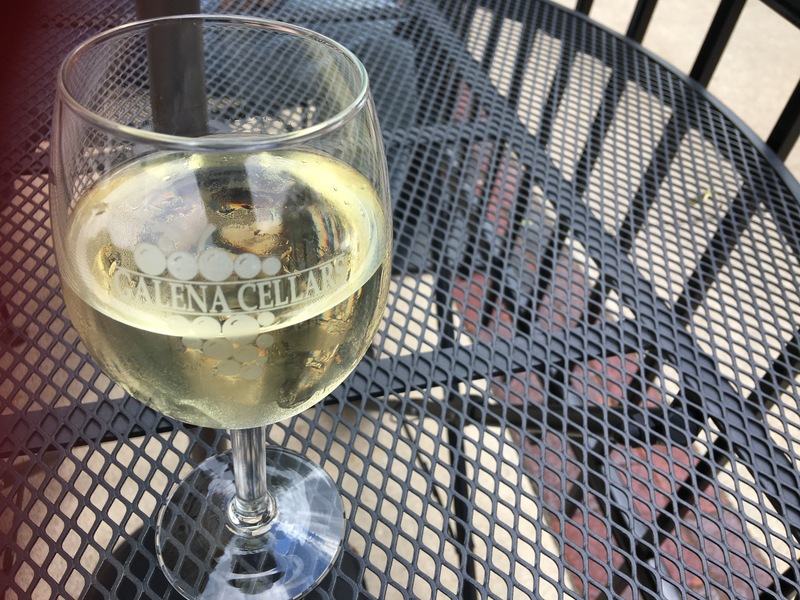 * This photo was taken at Galena Cellars Tasting Room on Third Street in Geneva. They expanded their outdoor patio this year so more people can enjoy people watching while drinking wine. What is your white wine of choice? This entry was posted in Wine Down Wednesday and tagged Illinois, Illinois wine, National Holiday, white wine, wine. Bookmark the permalink.